Looking for the best Mekong Delta tours from Ho Chi Minh City ? Try Mekong Eyes range of boats. There are a myriad of ways of traverse the Mekong Delta, ranging from DIY budget options, budget tours, right through to luxury boats. There is also a mind numbing number of reviews on just about every boat online. It gets really confusing, particularly if you are just relying on someone’s opinion on Trip Advisor. One of the key criteria I was looking for when selecting a company to travel with (and impart my cash to) was a strong reputation. There are plenty of dodgy operators out there and the last thing I wanted was to arrive in the Mekong and have issues. We chose to travel with Mekong Eyes, a company, co-owned by a German and a Vietnamese man with strong commercial history in this area, and plenty of good reviews overall. Mekong Eyes offers a number of options to suit most budgets. For the longer trip into Cambodia, the larger boat Mekong Eyes Explorer is used. 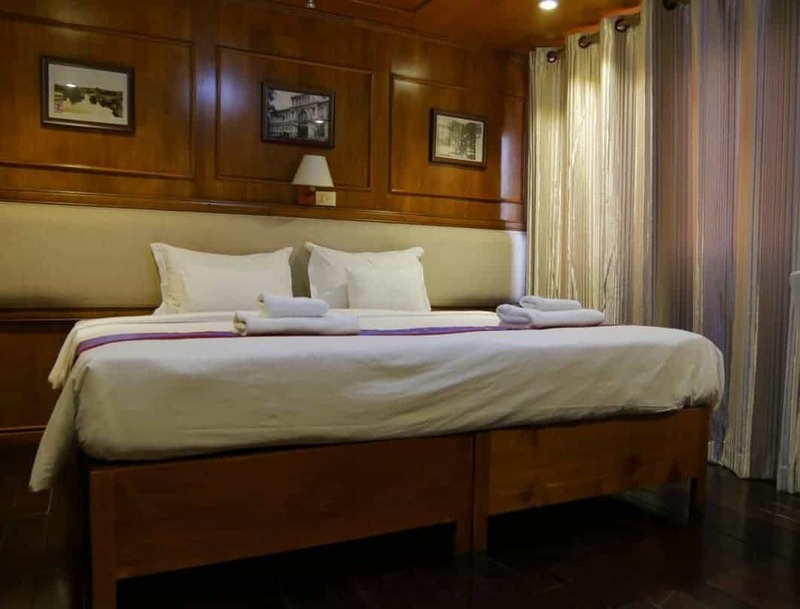 Providing a less expensive option for the shorter Mekong Delta trips within Vietnam, the 14 cabin Mekong Eyes Classic is used. If larger crowds are not your style, Dragon Eyes is suitable for four people only and a private boat, Gecko Eyes will see you sail the river on your own. We went for the “middle of the road” option, booking a cabin on board the Dragon Eyes. However, as you make your way through this article, you will see it was anything but middle of the road. The Dragon Eyes is a luxury boat, built in the traditional style of the river boats that grace the waters of the Mekong. We chose this boat because whilst still a large boat, it is still able to get into the smaller waterways, that the much larger boats can’t. This is important to be able to get off the main river and into some of the quieter canals, where river life changes from that seen in the busier areas. At 25 metres long and about 5m wide, this is a big boat, with plenty of room for everyone. This boat can accommodate four guests, in two separate and spacious cabins. On this occasion we were surprised (and delighted) that we were the only ones on board. Just us and five crew. And, whilst this seemed a little weird at first having people wait on us, our non-demanding personas meant that they were there to help us when we needed it, but they weren’t being summonsed every minute to wait on us. Although, I could imagine plenty of people might over use this hospitality. With an ominous looking thunderstorm bearing down on us, we were welcomed on board and provided with an overview of the boat, our itinerary and a safety briefing. The safety inclusions of this boat was one of the key criteria for my final choice so it was great to see it being briefed immediately upon our boarding. Life jackets are in each cabin, along with a hammer to smash the windows should the need arise. The boat itself had a lifeboat, life rings and a variety of other safety equipment. Given some of my boat experiences in Indonesia, I was very pleased about this. The briefing takes place at the back of the boat in the lounge area. The lounge offers a quiet place to sit, in air conditioned comfort, whilst still being able to take in the river views. The cabins were much larger than I had expected and were very comfortable. Fully air conditioned, with a king sized bed and a full size shower and bathroom. Even when you are in the cabin, the views of the Mekong are not lost with windows that could be opened to let in fresh air (although discouraged from dusk onwards due to mosquitoes) and french windows in front of a sitting area. In keeping with the tranquility of the area, there are no tvs on board, however generators provide access to electricity for all the devices we travel with these days. Toiletries and water are provided. When staying longer than one night, a housekeeping service is also provided. The cabins are fully lockable and also have a safe in the cupboard. The staff will always ask permission before entering your room for housekeeping purposes. Tucked away into the river bank at night, I had one of the most peaceful sleeps of our entire trip. A bit of gentle rocking from the river and I slept like a baby. It was only when I heard the hum of the engine starting up in the morning that I actually remembered where I was. I was pleased we were to be here for two nights! The upper deck has plenty of space to move around. The crew are rarely seen, keeping out of your way unless you need them. When we were on board, and not exploring something on the mainland, we spent most of our time up here, either eating, or just watching the world go by. The sun lounges make for an extremely comfortable place to hang out. The boat is fully licensed, so our lovely host Phuc was always on hand to grab us something cold to drink. These chairs located at the back of the boat were perfect for watching the sunset. There is no need to bring any food of your own on this trip, not even snacks. The food is quite literally never ending. Each meal is a grand event, with at least three courses, sometimes five. Prepared by the resident chef, the food was fresh, delicious and contained good variety, although we grew a little tired of the same fruit in the end. Still, a very small issue. Dietary issues are also catered for without any trouble. We ate our first meal on board as we waited for the thunderstorm to pass. As you can see, it was certainly a precursor for what was to come in the culinary department. Kicking back on the sun lounges, with a cool drink was pretty special, and we made the most of it. When you book a boat with this company, there are many other inclusions as part of the itinerary. We visited a local village on foot one day, and another on a bike the next day. We also hopped into a sampan for a leisurely ride through the very small canals. It’s tough work for these guys, and there is a definite art in how to manoeuvre the oars. We also loved visiting some of the local businesses, all family owned and operated. In some cases, many of the businesses were almost the last of their kind. From coconut candy making, to rice paper making, to rice production, to basket weaving, there was plenty to see and learn. We also took a cooking class on board. The chef was delighted to be able to come out from his kitchen and show us how to make traditional Viernamese pancakes (Banh Xeo). I’ve done cooking classes in some amazing places, but never on the top deck of a boat watching the world go by as I made pancakes. The fleet of boats owned by Mekong Eyes are available for a number of itineraries. Return transfer by van/car from your hotel in Ho Chi Minh City (District 1) to Can Tho where the boats are docked. The vehicles are comfortable and provide a complimentary bottle of water for each passenger. Amazingly, wifi is available in the vehicle also. It is a 3.5 -4 hour drive one way so having this transfer was a hassle free way of getting to the boat. Accommodation on board, including toiletries and bottled water. The only exclusions are additional drinks (eg softdrink, juice, alcohol). Prices are very reasonable and payment can simply be made at the end of the trip. Credit card facilities are also provided on board. Booking inquiries can be made easily through a contact form on the Mekong Eyes website. Basic details relating to dates, itineraries and number of people/cabins will be required. A member of the Mekong Eyes team will then contact you with a quote. 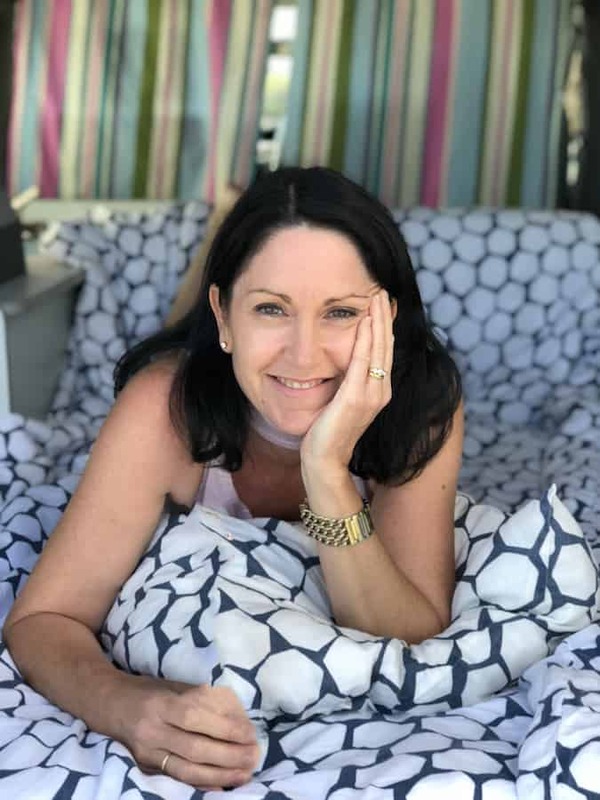 I conducted everything from this point onwards through email, asking a heap of questions before I booked to ensure I was comfortable with it all. Every question was answered thoroughly and promptly. This process gave me a little bit of heartburn to start with, but some careful research made me feel much better. Ultimately, my level of concern was simply because I am used to paying everything by plastic and having reputable financial structures that take the payment. In Vietnam, their finance processes still have a little catching up to do, but are legitimate all the same. I have chosen to note this all here however, as it took me quite some time to find this information online. Hopefully if you come across something similar, you will find this reassuring. Via email, the company will ask you for a deposit. They will also ask you for more details including name, address, email, phone number and name of travellers. Once you provide this detail they will send another email, this time containing a secure link from a company called “onepay” to facilitate your payment. Another email will then ask you to provide your visa and passport numbers, as it is required by local authorities. I was not at all keen on doing this, but once again, with a little research, I realised it was normal procedure for Vietnam, if not a little antiquated. As it was part of the overall trip inclusions, we were picked up from our hotel in Ho Chi Minh City and transferred in a very comfortable van to Can Tho. We were advised of our pick up time by the company well in advance, and we were told to wait inside our hotel for the driver to come and collect us. Fearing that we might be left behind because a driver couldn’t find us, we told the concierge in the lobby who we were waiting for. It’s a small tip that I recommend to everyone as the front of hotels can get quite chaotic at pick up times. The reason they come inside to collect you is to ensure they have the right person, and to ensure you don’t get into a copy cat (scam) vehicle. Tip – the drivers are always punctual so make sure you are in the lobby of your hotel before your pick up time. We stopped about 1.5 hours into the trip for a break at the Mekong Rest Stop. There’s much written online about these types of stops. Many people view them as a delaying tactic to get you to buy something. As such, as we approached this stop I was a little wary. This was to be the first of three trips I made in transfer vehicles and I can say that they were all anything but tourist traps as they like to be labelled. Sure, there’s souvenirs and other things to buy here. But there’s also a quiet place to sit and watch the animal life. There’s a coffee shop selling good Vietnamese coffee, and for those who started off the day early like we did, a welcome for those who rely on a caffeine hit. They also have clean toilets, and given this is a four hour trip, then I’ll take clean toilets whenever I can get them. Tourist trap, definitely not. From a dream to get here some day, to having now been, there was nothing about this experience that I would have wanted to miss. Even the crazy ride from Ho Chi Minh City adds to the whole experience. The landscape is ever changing, but the ever present motorbike riders remind you every loud, honking, crazy minute that you are still in Vetnam. If I had a dollar for every one who has told me that they wished they hadn’t missed doing a tour through the Mekong, I’d be a rich woman! Note it down as a must do…..a visit to the fabulous Mekong Delta is a must if you are heading to Vietnam. And for mine, one of the best Mekong Delta tours from Ho Chi Minh City is with Mekong Eyes. If your time and budget allow for it, I would highly recommend spending two nights here. By the time you checkin and get moving on day 1 it’s about midday. The return starts in the morning and has you back on the mainland around 10.30/11am. With only an overnight, it would feel as though you had just started out. Note: The full cost of the three day, two night trip aboard the Dragon Eyes was at our personal cost. I just happen to think this company looked after us with the greatest of care, as I would also expect given this is a luxury boat. Heading back to Ho Chi Minh City? Check out these great deals for hotels in District 1 and be in the centre of everything. This looks a great way to travel and relax. Watching the sunset over the delta, drink in hand as you cruise along sounds amazing. It takes about 4 hours to get down to Can Tho and then obviously the same back, so you might find a day is too rushed, but would be great if you could. This is definitely something I would be keen to add to my Vietnam ideas list. The interiors are so comfortable, and those deck chairs..wow! How many people does this boat carry? Hi Punita, as I said in the article, it carries 4 guests and 5 staff. The entire experience on your boat, Dragon Eyes, looks amazing! We’ve been looking into a trip to Vietnam, so I’m definitely going to have to remember this. The rooms and food look fantastic and I love the additional activities you participated in! The cooking class looked especially fun! Thanks for the info on the payment process too–that would have made me feel a bit uneasy without a heads up as well! Thanks Jenna, the payment process was the one thing that was giving me a few worries at the start. The cabins and the upper deck of the boat is beautiful. Peaceful and comfortable. The sea from the window looks so calm and lovely. The food also looked delicious. Thank you for sharing all the details. Whoa looks super nice! I did the classic Halong Bay tour when I was in Vietnam, but this looks different, would love to do it next time I’m there! I’ve done Halong Bay too and it’s definitely a totally different experience. This looks like an incredible boat which was the perfect size – big enough to not feel crowded but small enough to get into the smaller waterways off the river too. 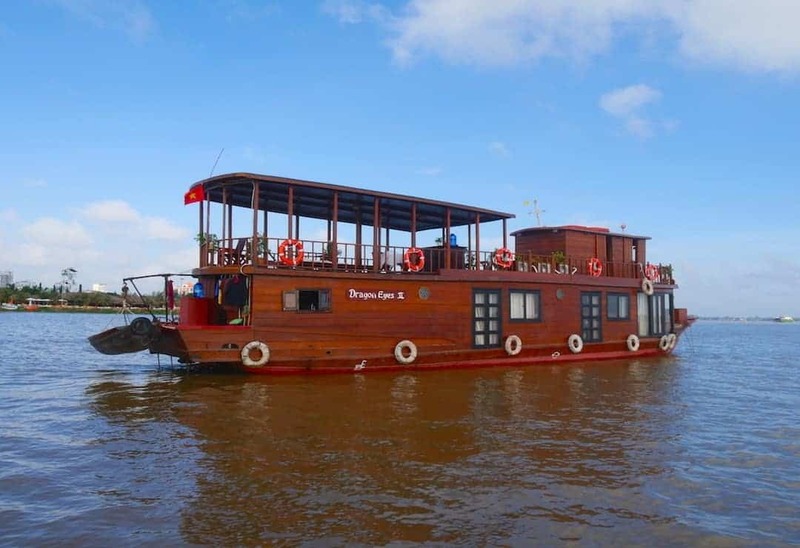 What a lovely experience this was and thanks for recommending them – we found a lot of those offering ‘luxury boat tours’ from Ho Chi Minh were not always as ‘luxury’ as they made out to be – some of them I wouldn’t even class in the ‘budget’ category! I totally agree re the “budget” v “luxury”. This was my biggest worry and until I actually saw the boat I was quite stressed. Same went for Halong Bay too. That’s why I went to so much detail so that people could truly see what it was like if they are interested in this type of travel. This river boat tour looks first class all the way. This is the way I want to see the Mekong. couldn’t complain about a single thing. What an amazing boat trip. The boat is huge! The ride looks so relaxing and the cabin super comfortable. I bet it was so nice to sit there and watch the view. I love the map! Did you get that there? It looks like something you’d find in colonial times! This sounds like a wonderful experience and I really liked the style of the boat and the room looked quite spacious for a boat bedroom. I think I’d pick all the activities you did too, and it is nice to see that a variety of shore excursions were offered. Thanks so much for sharing. Not sure when I will be that way, but I will check this out when I do. Thanks for the info. We’ve been considering adding a trip to the Mekong Delta to our upcoming tour of Vietnam. I think you’ve just sold us on it. It sounds amazing. Just one thing. Does the boat rock much? I’m a bit prone to see sickness. ? Hey Martin, the boat doesn’t move at all. You won’t even remember you are on one ! The river is super calm. This looks amazing and something for sure I would love to do! I love yes the safety and the trip in general just looks relaxing and I love the cabin! However, the food and cocktails might be my fave part! FUN and WOW! What a surprise to have the whole boat just for the two of you! I love it when that happens! The sun deck looks super inviting as well. I’d spent the entire day reading there! I’ll order some of those Vietnamese pancake please! What a great cruise – even for only a couple of nights – it sure sounds delightful and great service, in particular the thorough safety briefing!! Would love to do this one day. A lot of fun Juliette ! It’s great to see a personal recommendation for these kind of boat trips. This boat looks amazing. Oh my gosh the food! Going on a river trip is a bucket list for me, so I’ve bookmarked this. Thanks! Hi Rachel, the links are in the article, so you can just click on one of them. Or, you can google Mekong Eyes! Enjoy Vietnam.